If you want to look after your car you need to keep it out of the elements as much as possible. The problem is, not everyone has the room or the budget for a garage and that’s where carports come in. 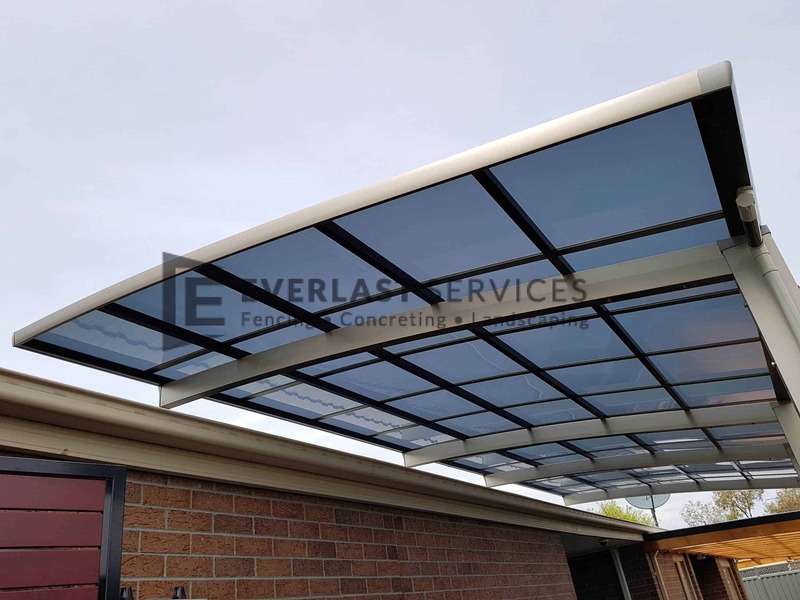 A carport built by the expert team at Everlast Services in Melbourne will give your the car the protection it needs and it will cost you a fraction of what it would to build a garage. 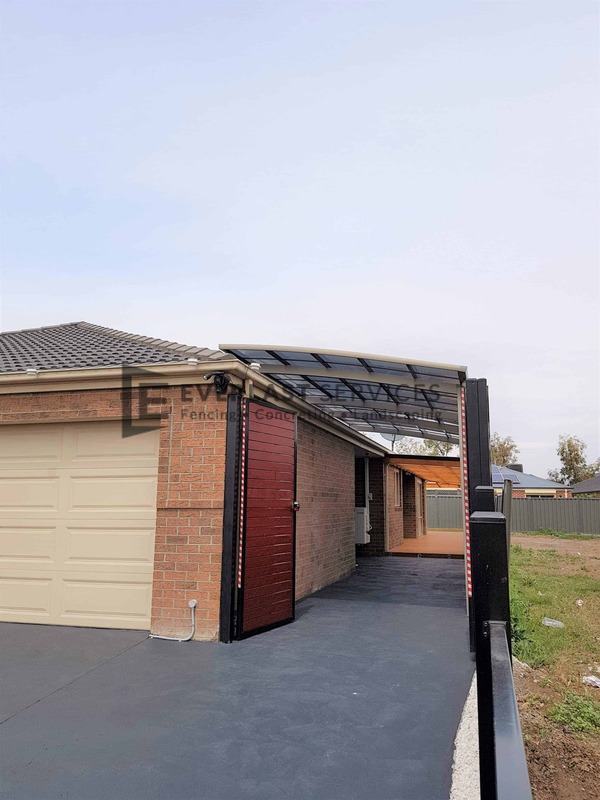 A carport isn’t only a good place to protect your car it can also serve as an extra storage space for your tools, leisure equipment and anything else you want out of the house and out of the elements. We can custom-build a single or double carport to your exact design specification and ensure that it fits into your space and we can source any material you like for the job. 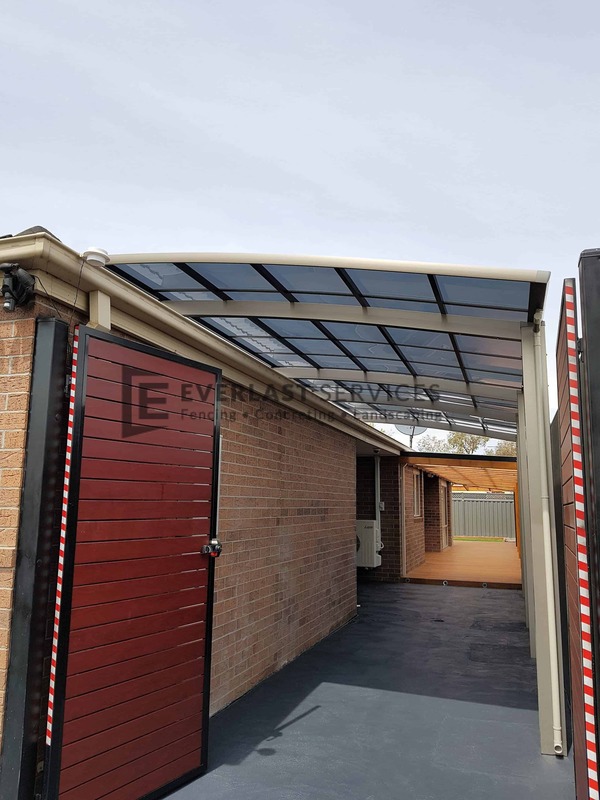 We operate our own steel fabrication plant out of Hoppers Crossing meaning we can fabricate all the steel work for your carport, which allows us to cut out the middleman and pass on the price savings to you. We also have an excellent relationship with local suppliers meaning we can purchase quality materials, such as timber, at reduced prices. 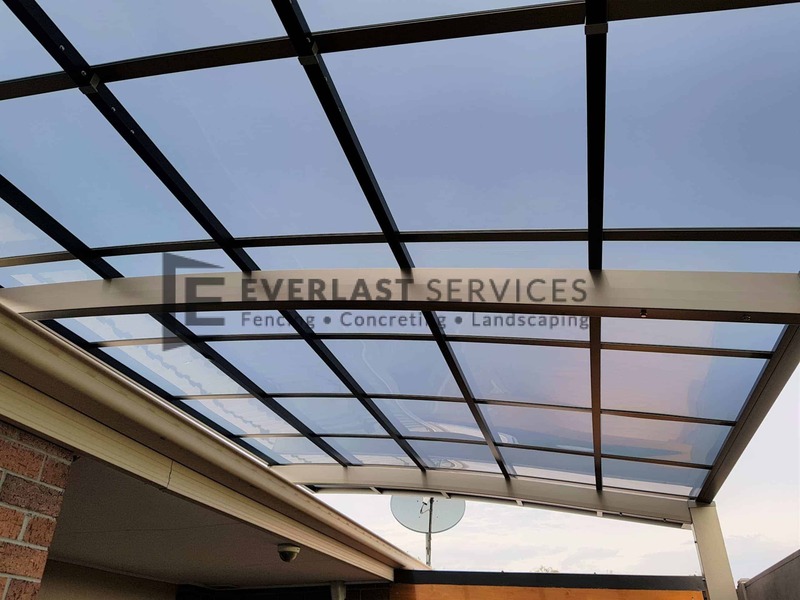 The fact that we have control over our fabrication allows us to maintain strict quality control, you can be sure that anything we produce and build will be of the highest standards of workmanship. Anyone that pulls on an Everlast uniform will be 100% committed to delivering quality and ensuring that the customer gets everything they want and more! We’ve been involved in the home improvement industry for over 20 years. We’ve completed all types of projects and there’s nothing we haven’t seen before. We guarantee that we’ll have the skills, ideas and know-how to turn your carport vision into a reality. 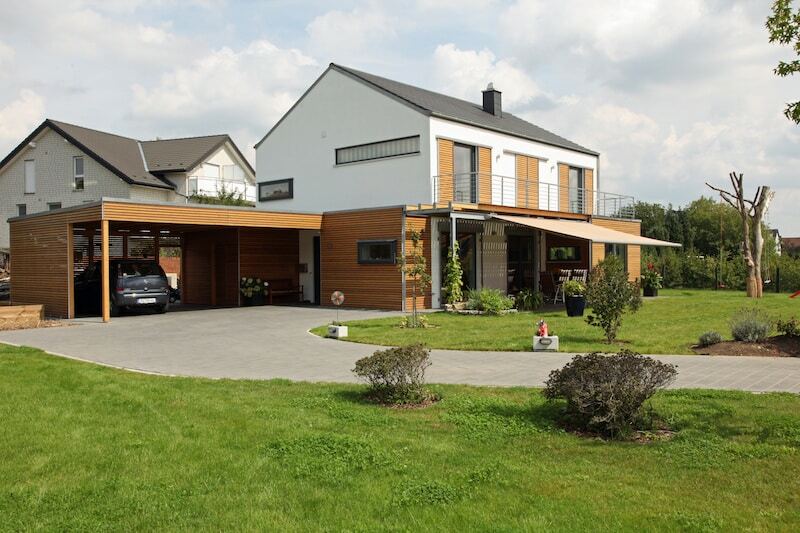 We can complete a whole host of other home improvement project to complement your carport. 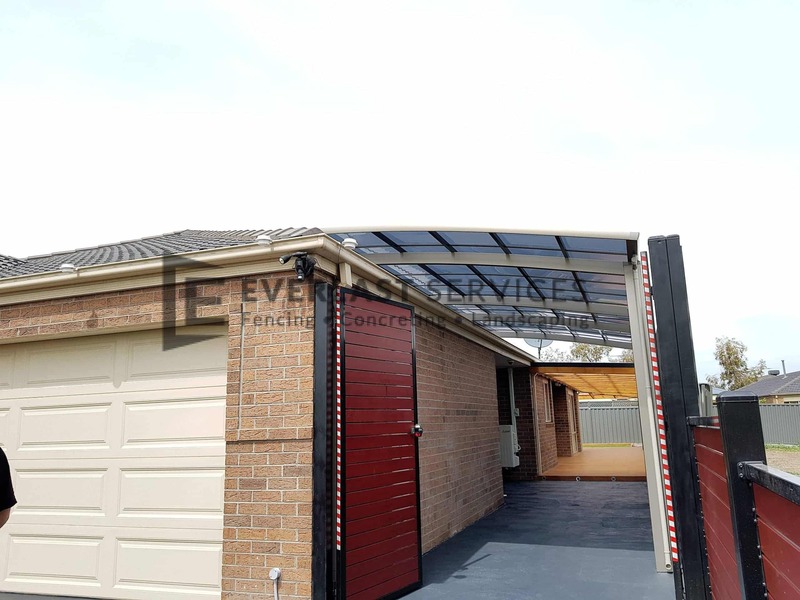 We can build and install a driveway gate or fence to add security to your carport or we can build pergolas or deck to turn your patch of dirt and grass into an extra living space.